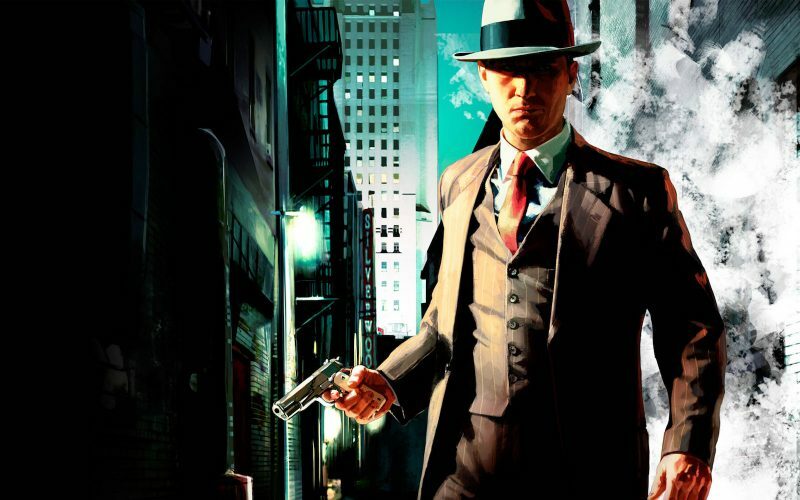 After the best part of a decade in development, Team Bondi’s gritty detective procedural L.A. Noire finally hit consoles in 2011. Leon, James, Jay and Josh pull out their curly-cornered notebooks in order to establish the “truth” about the game. Is there any doubt that the facial tech gave off mixed signals? Were the positive reviews nothing but a lie? Cane and Rinse community members also submit their evidence. I just started listening to your podcast very recent. Only for about a week now and I can tell you that I enjoy listening to everyone who talks on the show. You try to stay objective on a subject and try to look at everyone’s point of view. Very well done and I look forward to listen to every episode. Now, you made excellent points about LA Noire. To the eyes and ears, it is a very pleasing game. The city and how the developers depicted 1940s Los Angeles is simply gorgeous. The music of this era is one of my favorites. You don’t have to be an expert in music to know that this is one of the greater genres of music. Sadly, that is all the game offers. I found everything else to be so poorly done. While some of the cases you investigate are interesting, the characters don’t make it so. It feels very flat and emotionless. A story line that goes off in tangents that I can’t fathom. However, I am aware that this was part of the time and is very much apart of film noir. It is also very repetitive and offers no real result, especially when you finish the game. It saddens me because I saw trailers for it immediately after finishing Red Dead Redemption, which at the time I declared greatest game of all time. I was so excited when it came out and I was immediately annoyed by the facial mechanics. It seemed they couldn’t portray the face right. You look at a face that clearly says ‘Truth’, nope it was a ‘lie’. A plot twist that doesn’t make any sense, for which I mean the affair. The way they painted Cole is he’s a man who will do his best to follow the law and bring everyone to justice because it’s the right thing to do and wants to end the corruption. So he has an affair? Why? First off, he had a family? Since when? They didn’t make any mention of it. If they don’t care to explain that to us and show us what they mean to him, why should we care? Apparently, the writers didn’t care either. I believe they had this plot thread and had no way of making it work so they threw this twist at us and it makes no sense then and still not now.